In an earlier article I discussed the Yamaha TX81Z, the classic synthesiser module that has featured on all of Dayglo Fishermen's albums. That module is not alone. The Roland MKS-70 is another classic synthesiser module that has also featured on all of the band's albums. 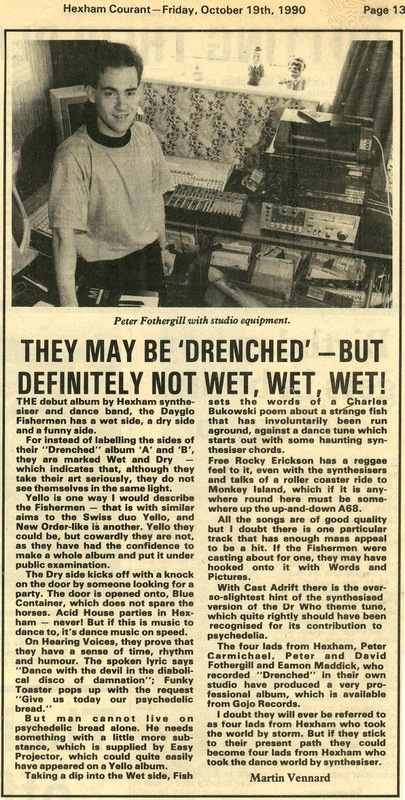 Pictured below, the module, first released in 1986, was installed in Artlite Studios in 1989, shortly before the formation of Dayglo Fishermen. It's warm analogue sounds, still used in many studios today, added a depth and richness to the band's music - a perfect complement to the harsher FM synthesis tones of the TX81Z. 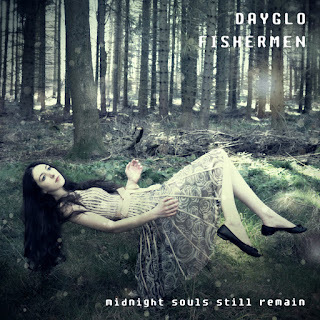 There are hundreds of Dayglo Fishermen tracks that feature this module's sounds, and there are some where the module almost takes over. 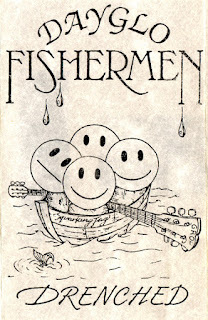 One of those is 'Fish', the band's first ever song, recorded in 1990. The fast squidgy bass line that feaftures throughout is one of the MKS-70's signature patches. The relentless use of that sound is one of the reasons the song had such an impact when it was released on the album 'Drenched' later that year. Another song on that debut album that features heavy use of the module is 'Easy Projector'. The entire intro sequence features four of the MKS-70's sounds, and the whole song is underpinned by one of the module's mellow pads, ensuring a wide and relaxing soundscape. Surge forwards 25 years and that same module can still be heard. 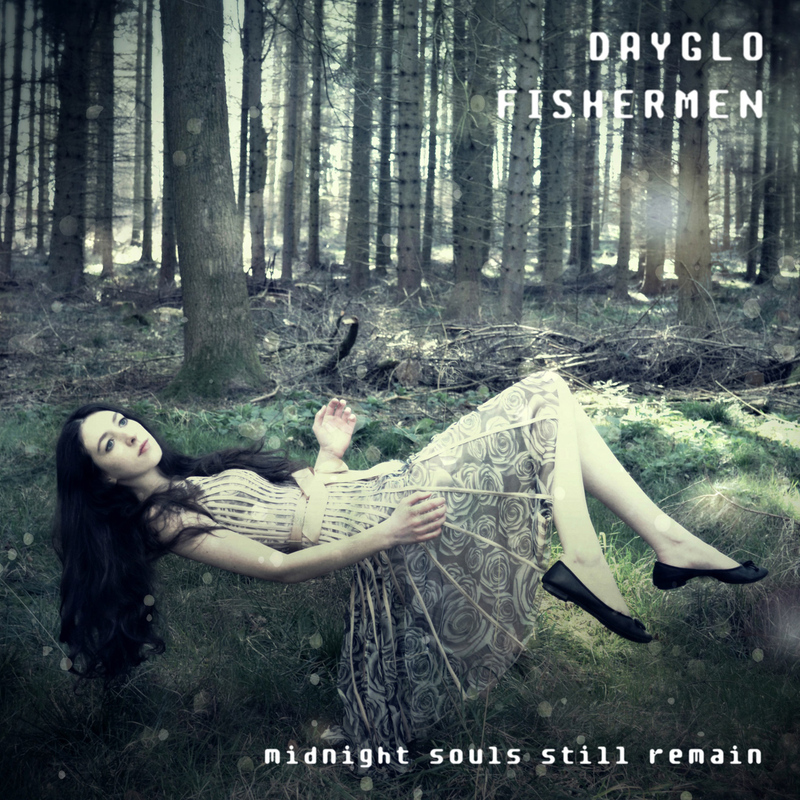 The final track on Dayglo Fishermen's latest album, 'Midnight Souls Still Remain', titled 'Cool People Meet', features a spacious flute-like sound that fills out the choruses. It shows the great versatility and timeless quality of the MKS-70, and illustrates just why such an aging sound module still has so much to offer, and why its popularity has yet to fade. Despite the recent aquisition of a new state-of-the-art Roland synthesiser, the band's classic old Roland, the MKS-70, is certain to feature on Dayglo Fishermen's future albums and projects. For any band, once a new album is due to be released, or a concert tour schedule is confirmed, a publicity machine whirs into action and a promotional campaign begins. This is usually a carefully planned and highly coordinated sequence of activities to make the most of all the avenues of publicity possible, both digital and traditional. The band hopes, no doubt, that such Tweets and Facebook announcements are shared, and that the video teaser goes viral - possibly the best publicity of all. This may well be the end of the publicity campaign for Dayglo Fishermen's 2016 concert, or there may be a lot more to come. It's hard to tell when there's no strategy or plan to speak of. What is clear, though, is that on 10th September 2016 at the Limelight Theatre in Aylesbury, UK, there is going to be an event not to be missed. Take note of all this promotional material and book your tickets now. Over the decades since they formed Dayglo Fishermen have used quite a number of different synthesisers. Some come and go within a few years. But a couple have stayed with the band from the beginning, and are still in use today. Let's have a look at just one of those: the Yamaha TX81Z FM Tone Generator. 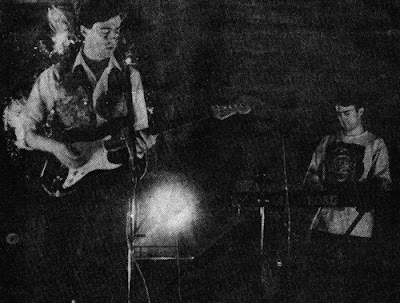 The band's Yamaha TX81Z sound module was actually purchased in 1987, three years before Dayglo Fishermen formed. 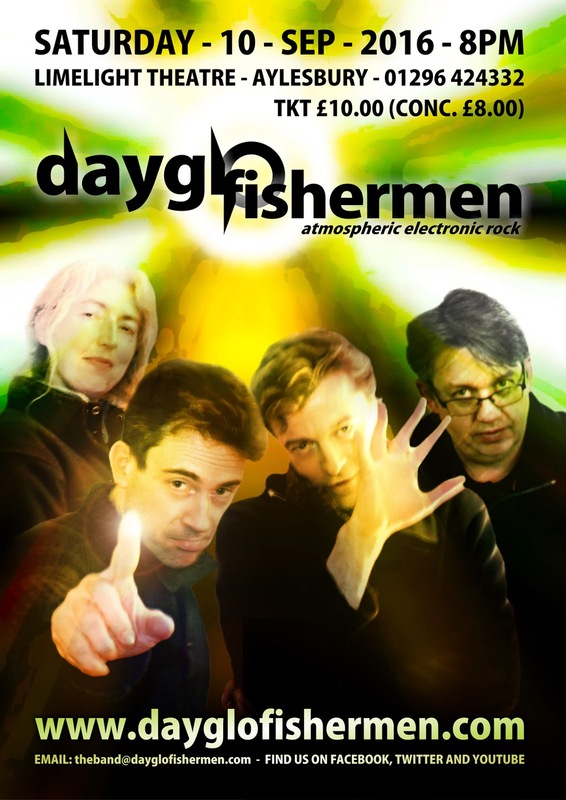 It was used in Artlite Studios on all of Peter and Richard's early work that was the precursor to Dayglo Fishermen. As part of the studio's core equipment at the time it was destined to become a major element in the band's music. And that is indeed what happened. 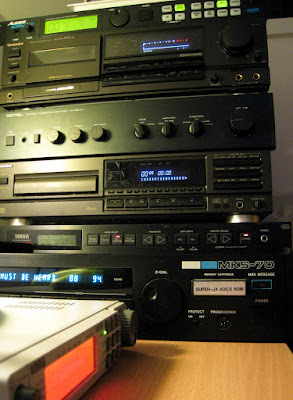 The module itself became very popular in the 1990s with hip-hop and dance music producers, mainly for its bass sounds, most notably 'Lately Bass'. That bass sound was most famously used for the bass line on Madonna's 'Vogue', and also on several Dayglo Fishermen songs, such as 'Minneapolis', the opening track of the 1994 album 'Big Spoon'. Featured on the 1992 'What the Hell' album, 'Nine Point Nine Five' utilises one of the TX81Z's fine bass sounds, which makes good use of the module's portamento effect as the bass line often slides from one note to the next. The higher keyboard sounds are also classic TX81Z tones, including the bell-like intro sound that is featured throughout the song. 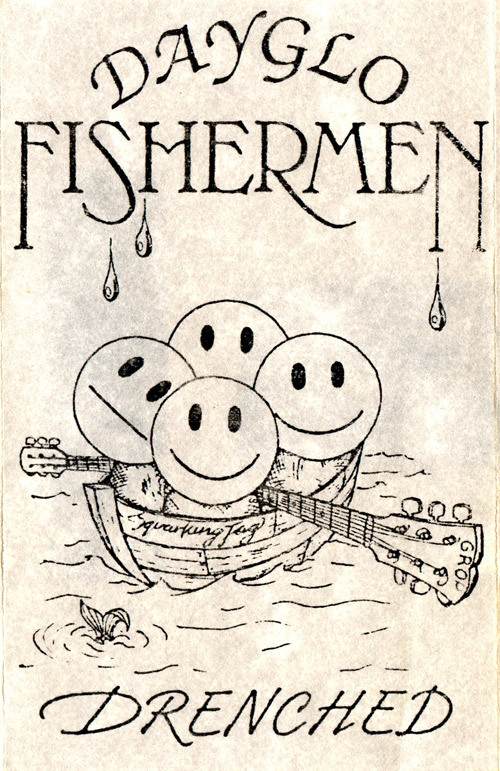 The bass sound mentioned above is also used to excellent effect on 'Words and Pictures', from the band's debut album, 'Drenched'. 'Church on the Hill' is one of the more unusual tracks on the band’s 1993 ‘Animate’ album. Apart from some Korg M1 piano and strings, all of the keyboard sounds, including the percussion, were generated solely by a Yamaha TX81Z FM sound module, highlighting its versatility. For a further example of a TX81Z rhythm track try 'Stairway to Hebburn' on the 1991 'Strange Plaice' album. Take care, though. This track is quite odd and potentially irritating, so you may not make it to the end, despite the fact that it's just over three minutes in length. 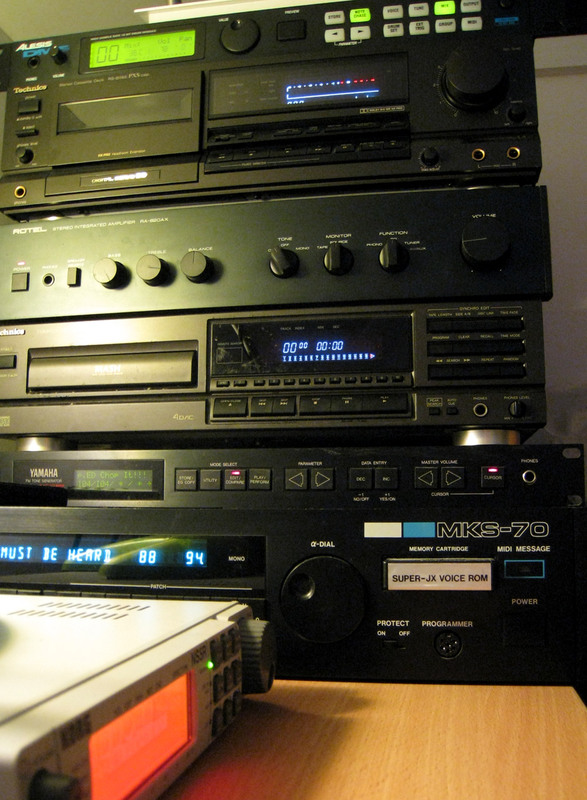 The 'Queen of the Sunset City' album, released in 2003, featured a huge variety of music, and the TX81Z is exhibited on most tracks. The rasping bass line on 'Angel City', one of the album's standout songs, is an excellent example of the module's range of sounds when compared to the smooth bass line on 'Nine Point Nine Five' mentioned earlier. Also listen to 'Turning Gold' on the same album to hear the module's take on a bass guitar. The module was used most recently on the 2015 album ‘Midnight Souls Still Remain’. On 'Sinking Deeply' it provides the main keyboard sound, the sound that is featured from the very start of the song. This proves that, with the help of of a decent dose of effects, the TX81Z is still able to produce original and compelling sounds such as this, even after almost 30 years of use. If you're familiar with the sound of Yamaha's FM synthesisers you should be able to spot the TX81Z in many of the band's songs. Just pick an album and see what you can find. That simple little sound module has, without most people knowing, had a significant influence on the evolution of Dayglo Fishermen’s unique sound. And as long as its incredible internal battery lasts, it will continue to do so in the future.